Re-energize your students with these fun, contemporary dance routines! 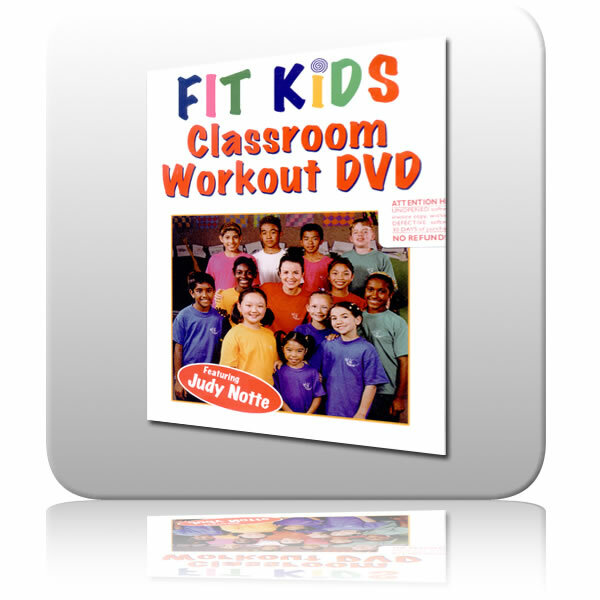 The Fit Kids Classroom Workout can be used in any school space, anytime, any day to invigorate and motivate your students. It gets students excited about being physically active and provides an ideal break from the day's routines. It can also be used as a warm-up to other physical activity. The two 10-minute choreographed workouts - Getting Funky and Loving African - link the moves that have been taught during the four shorter workouts, while the six healthy messages provide basic information about the importance of a healthy lifestyle. Instructor Judy Notte is a certified fitness professional with the American Council on Exercise (ACE) and a three-star presenter with the International Dance Exercise Association (IDEA). She is also a full-time elementary school teacher in Vancouver, British Columbia. Notte has made presentations on youth fitness and wellness at international conferences and published articles in IDEA Source, IDEA Today, and The Runner. Notte has been recognized as a Nike Fitness Athlete and as a Rick Hansen Role Model. Instructor Judy Notte is a full-time elementary school teacher in Vancouver, British Columbia. A certified fitness professional with the American Council on Exercise (ACE) and a three-star presenter with the International Dance Exercise Association (IDEA), Notte has given presentations on youth fitness and wellness nationally and internationally. Her articles have been published in IDEA Source, IDEA Today, and The Runner. Notte has been recognized as a Nike Fitness Athlete and as a Rick Hansen Role Model. She received her masters degree in curriculum studies from the University of British Columbia. Resource for K-9 classroom teachers and physical education specialists as well as health fitness instructors and youth program leaders.